The Royal Rumble is a little under two weeks away and is arguably the most exciting event of the entire year. We've had thousands of WWE Superstars, past and present, who have entered the fray and left their thumbprint on the Royal Rumble match, forever to be etched in the annals of time. While many wrestlers have come and gone, today we are going to focus on the top big men who have dominated, won, or simply left a big impression (no pun intended) on the WWE Universe. To qualify for this list, these wrestlers have to either be at or around seven feet tall (Kevin Nash), weigh over 300+ pounds (Mark Henry, Vader, etc. ), or even both in some cases (Andre the Giant). 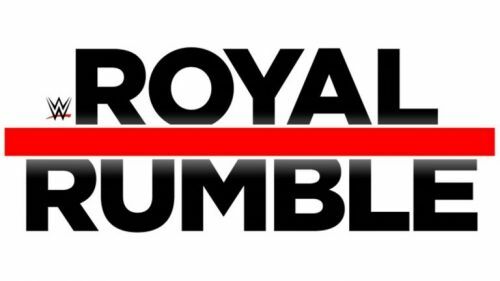 Without any further ado, turn on the traditional Royal Rumble theme song in the video below, kick back, relax and let's get started with number five! "It's time. It's time. It's Vader time!" Starting off our list is the man they call Vader! Fresh off a memorable run in WCW, Vader made his debut in the WWE at the 1996 Royal Rumble. Wrestling fans were very excited to hear that Vader was going to make his debut for the WWE and knew that he was going to be a force to be reckoned with. Vader debuted as a heel, aligning himself with Jim Cornette's stable: "Camp Cornette", along with the likes of Yokozuna, Owen Hart, and The British Bulldog Davey Boy Smith. He came into the Royal Rumble match at #13 and quickly made a big impression upon the competitors inside the ring. Upon entry into the Royal Rumble match, Vader eliminated four WWE Superstars: Jake "The Snake" Roberts, Manual, Doug Gilbert and Savio Vega. He was eliminated by "The Heartbreak Kid" Shawn Michaels after lasting 11 minutes in the match-up. After being eliminated, Vader lost his cool and proceeded to illegally eliminate everyone in the ring before being ejected out of the arena by WWE officials. The match was an acceptable debut for Vader, as he was being groomed by WWE to be their next big monster heel for the company, even exchanging blows with Yokozuna who was also apart of Camp Cornette that would set up a face turn for Yokozuna a month or so later. 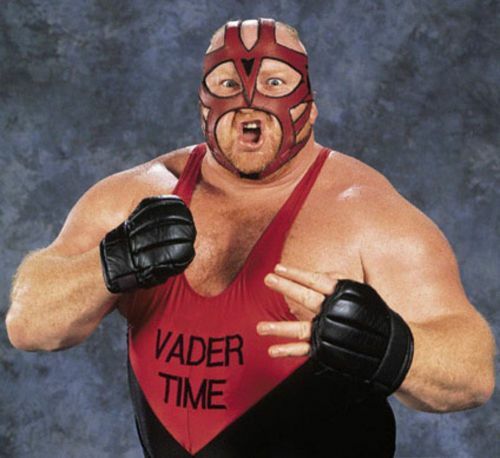 Vader would pass away in 2018 following various health issues.